You know that, I know that- yet we're all found guilty of skipping it when we're in a mad rush, but I have found the perfect solution; a smoothie. Typically, smoothies are made with lots of fruit, yogurt and milk and while that's all well and good it's not a very well balanced liquid breakfast. The key ingredient here that turns this ordinary smoothie into a 'breakfast' smoothie is the addition of rolled oats! 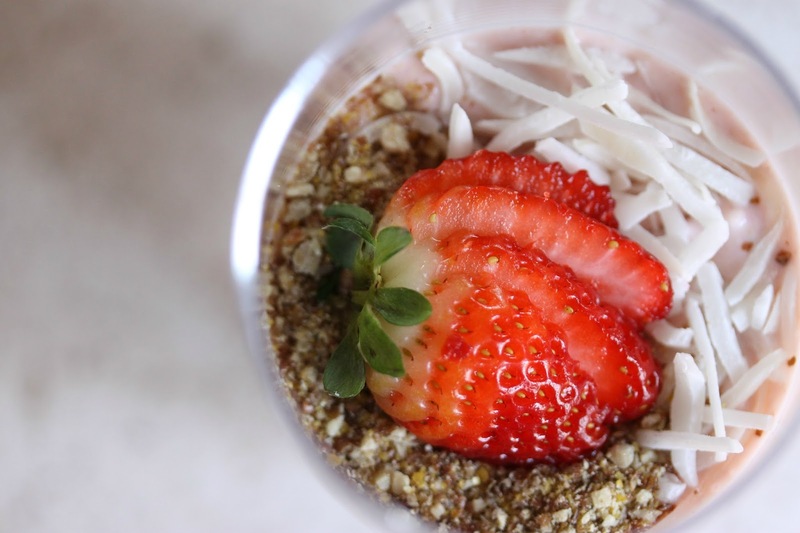 Delicious, nutritious and Low GI, oats compliment this smoothie well and are perfect for those folks who are on the run and tend to skip breakfast! 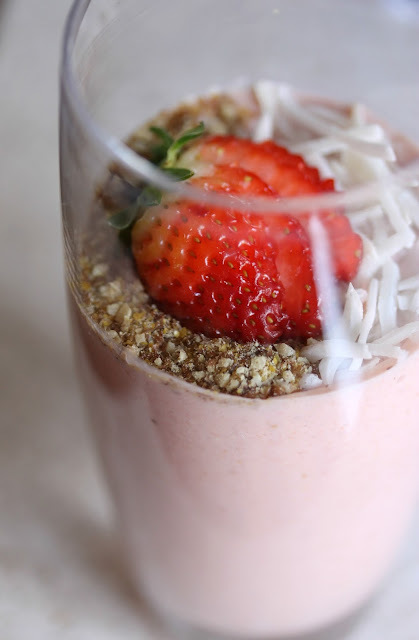 Just whiz everything in the blender and go! To make this smoothie your own, you could add in protein powder, spinach, LSA mix or any other healthy mineral supplements. This is just one of the ways I like to enjoy my smoothies, I normally sub the fruit with whatever we have in the fridge and it usually tastes pretty good too! What are some of your favourite ways to enjoy your smoothies? OMG! Yummy!! It looks so delicious!! Thanks for the great tips! No worries Valeria! Glad you enjoyed! Thanks Natalie! It's so yummy and it's especially kind to tummies! No worries Nina, glad you enjoyed! Let me know if you give this a go!